Young fans of Fox's "American Idol" can test their singing talent at home. 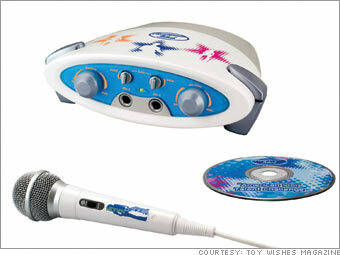 The unit, which also features a Karaoke mode, connects into a TV and comes with a DVD, microphone, mixer and 12 songs. After you've had your turn, hear what "Idol" judges Randy, Paula and Simon have to say about your performance.